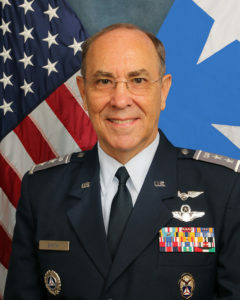 The new national commander, Major General Mark Smith, has a doctoral degree in ethical leadership. 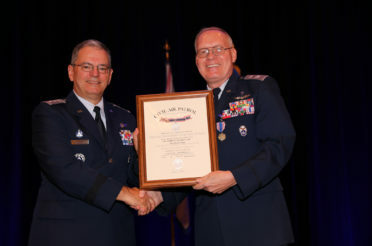 On 2 September 2017, Major General Mark Smith, CAP, assumed command of the Civil Air Patrol in a ceremony at the national conference in San Antonio. He recently completed a doctoral degree in education on ethical leadership from Olivet Nazarene University. 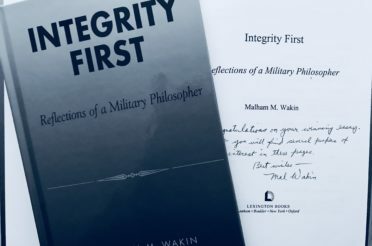 This foundation in ethics is a major component of his command-philosophy letter written to all members of CAP. 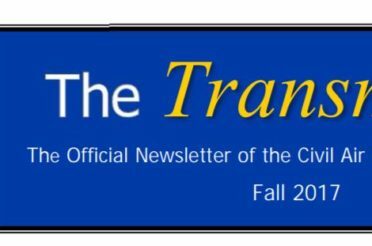 In his letter to the 58,000 members, he addresses the topics of integrity, core values, servant leadership, ethics, respect and volunteer service. Vision and Mission. We are proud to represent the Nation’s finest volunteer organization, the Civil Air Patrol. We will not forget our vision: “Civil Air Patrol, America’s Air Force auxiliary, building the nation’s finest force of citizen volunteers serving America.” We are called to serve community, state, and nation in performing Civil Air Patrol’s mission: “Supporting America’s communities with emergency response, diverse aviation and ground services, youth development, and promotion of air, space and cyber power.” We will conduct ourselves in accordance with certain principles to achieve our vision and excel in accomplishing our mission. Live the Core Values. Civil Air Patrol’s core values comprise the ethical fabric that holds our organization together. Our high standard of ethics set us apart from other organizations and garners trust from those with whom we interact, whether locally or at the national level. Every member of Civil Air Patrol must embrace our core values and put them to practice continuously. Integrity is foundational to our organization’s ethical framework, and all other aspects of our core values come from this most important attribute. We are called to do the right thing – always – regardless of the circumstances. Volunteer Service is what we do. We voluntarily give of ourselves, our time, and our resources in service to community, state, and nation. 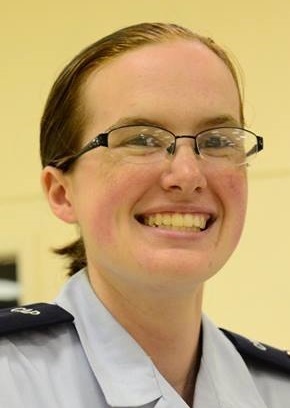 In Civil Air Patrol, it is not all about us. Rather, our focus is on others and how we can make a positive difference in people’s lives. We are called to Excellence in all we do. We will continually strive to exceed expectations. When we fall short of where we aimed we will learn and apply lessons in order to continuously improve in all aspects of our enterprise. Respect is the central characteristic we employ to ensure we are successful as an organization. We all come from different backgrounds, yet every member of Civil Air Patrol is valued. We treat one another with fairness and dignity and work together as a team. Caring for Our People. Our members – volunteer and paid staff alike – are our most precious resource. We must ensure the organization’s climate is one where everyone is valued, treated with respect, and has a voice. We celebrate when our individuals, teams, and units excel, rewarding them with the recognition they deserve. Diversity makes our enterprise stronger, and thus inclusiveness is a critical part of how we do business. 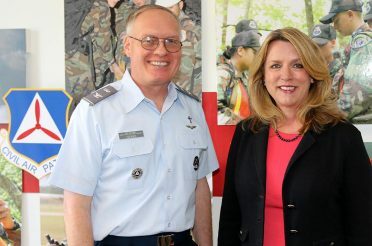 Targeted recruiting at the local level is essential to offer the Civil Air Patrol experience to new members. Retention is addressed by providing a healthy organizational climate. We are family and we look out for one another’s wellbeing. Finally, we remember to have fun in our duties and with one another. Leadership. We are called to be servant leaders. We focus on the members of our organization, helping them to achieve their full potential. We practice the three tenants of servant leadership. First, we are leaders with a deep commitment to integrity. Second, we are stewards of our organization and our people. Third, we focus on our members, units, and enterprise to help them succeed. We delegate responsibilities and empower our members to perform meaningful work, we hold our members accountable for their performance and celebrate their successes. We genuinely care about our members, seeking to be aware of their wellbeing and empathetically helping one another through tough circumstances. We mentor those who are less experienced to help them excel, and we train our next generation of leaders to succeed us. Professionalism. Each of us are ambassadors, not only of Civil Air Patrol, but of the United States Air Force. As members of the Air Force’s Total Force, we owe it to our parent Service and myriad other stakeholders to operate with the highest degree of professionalism. There are five pillars of professionalism in Civil Air Patrol. The first pillar is safety. 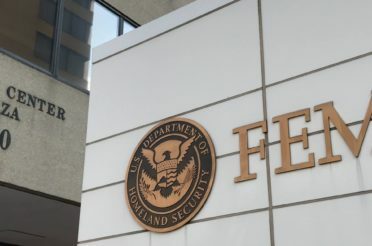 We all must practice sound risk management to help safeguard our people and resources and achieve mission success. Second, given that our flying mission is high-profile, our members must embrace and consistently exercise aircrew professionalism. Third, we are in a position to exceed our stakeholders’ expectations when we are highly trained and proficient. We seek self-improvement by participating in professional development courses, technical training, and the cadet program. Fourth, there is a direct correlation between the competence of our leaders and the success of our units and enterprise. We will work to continuously enhance the training and education offered to our leaders at all echelons. Our fifth pillar is compliance. It is imperative to our performance as an enterprise that we operate in accordance with our directives. Mission. We strive for institutional excellence in performing missions for America. By “institutional” we mean that our normal mode of operation is at a level of excellence that exceeds customer expectations; it’s our normal way of doing business. We achieve this level of excellence by several means. It starts with our passion for professionalism, as described above. In addition, we build and flex “muscle” when we work cooperatively as a team. We encourage the cross-tell of information to identify best practices and solutions to issues. We encourage multi-region/multi-wing/multi-agency exercises since disasters do not respect geographic or organizational borders. And we collaborate in executing our cadet and aerospace missions to bring more resources to bear and more benefits to our customers, both internal and external. Positioning for Future Success. To borrow a phrase from the business community, if an organization isn’t growing, it is dying. We must continuously strive to adapt in what missions we perform, not just for the Air Force, but all current and potential customers. Our ability to remain relevant depends on this constant quest for who can benefit from our services. We all have a responsibility in this area. National headquarters can work the enterprise-level agreements; however, contacts and relationships frequently begin at the local level. In addition, we must work to broaden our revenue stream to enable us to have the funding we need to perform our broad base of services in the future. The Air Force graciously grants us funding to assist with operations and maintenance costs, aircraft, vehicle, and equipment procurement, and the like. However, the dynamics of growing costs and mission scope outpaces what the Air Force is able to provide us. Therefore, we must seek grants and donations that can help us to accomplish our missions, especially cadet programs and aerospace education. Finally, we must never be content with how we do business today; there are always opportunities for improvement. 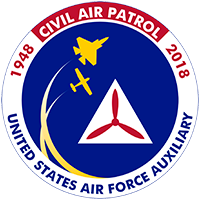 We embrace continuous improvement and look to all members of Civil Air Patrol for ideas on how we can improve. We must be adept at leading change – crafting the vision, seeking buy-in, collaboratively building and executing the roadmap to get from here to there. Our Future. Civil Air Patrol’s future is bright. We recently celebrated 75 years of excellence in service to America. This year we celebrate 75 years of our cadet program, America’s finest youth development program. We have the people, resources, and passion to excel in our service to America for the next 75 years. Let’s embrace the principles outlined in this document and we will be well on our way to mission success. And let’s not forget to have fun, too! The Civil Air Patrol chaplain corps is here to, in part, support the new national commander’s vision to make character an important pillar of our service to our communities and our country. 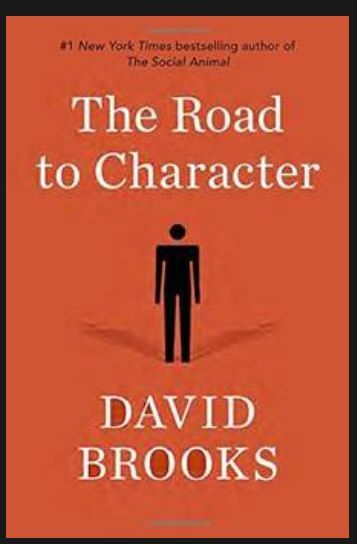 These words will be used extensively in future social media posts with the hashtag of #CharacterMatters. 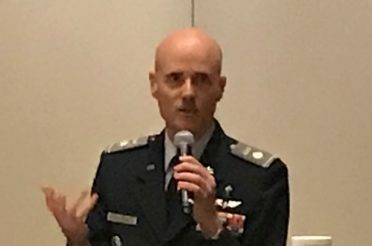 A future post on this blog will highlight General Smith’s address at the Commander’s Call To Prayer during the national conference where he discussed his vision of servant leadership.